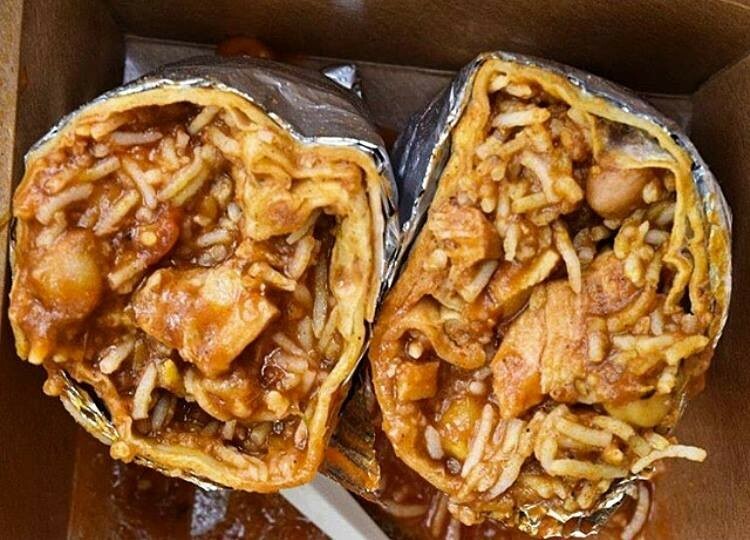 Indian-inspired burritos are part of Curry Up Now's $30 prix-fixe, which will feed two people. It’s that time of the year again: Oakland Restaurant Week, that annual bonanza for prix-fixe bargain lovers, will run from Thursday, January 19 to Sunday, January 29. To drum up interest in the seventh edition of the promotion, the Visit Oakland tourism bureau, which organizes the week, is emphasizing a “Lucky Number Seven” theme, with related raffles and prize drawings. Otherwise, you know the deal: Participating restaurants will offer some combination of $20, $30, $40, and $50 lunch or dinner prix-fixe specials during the promotional period. Berkeley will host its own restaurant week during the same eleven-day window of time, with 27 restaurants signed up to participate, offering a $20 lunch prix-fixe menu and/or a $25 or $30 dinner prix-fixe. You can head over to the website and browse those menus yourself. Oakland, on the other hand, has around 100 participating restaurants this year — a large enough number that there are bound to be some duds. And it almost goes without saying, but my guiding principle is to recommend restaurants that I think readers would actually enjoy eating at, not just the ones offering the biggest discounts. After all, life is too short, and Oakland has too many amazing taco trucks, to waste time eating at a bad restaurant just to save $5 or $10. So, as a service to you, my readers, I read through all of the Oakland Restaurant Week menus that have been posted online so far and culled a few of my favorites. All of them clock in at the $20 or $30 price point. 2. 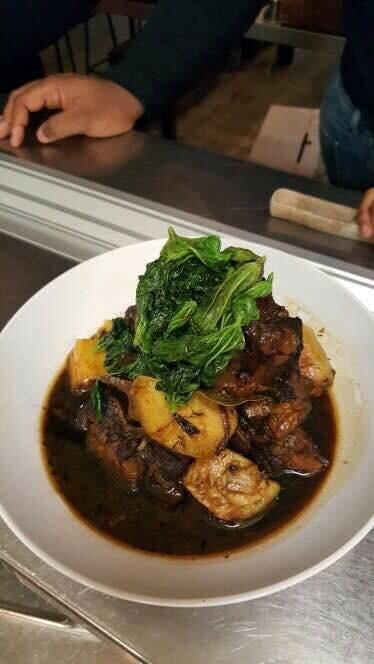 Over in the Jack London District, Dragon Gate (300 Broadway) is offering prix-fixe family-style feasts at all four of the available price points for both lunch and dinner. Unless you’re dining with a big group, though, I see no reason to order anything beyond the $20 prix-fixe, which starts with a soup of the day and finishes with three iconic Taiwanese dishes: grilled Taiwanese sausages (served, as is traditional, with raw garlic), Taiwanese-style popcorn chicken, and the best (and spiciest) Taiwanese beef noodle soup in town. All that should feed two diners comfortably, even if they have truly monstrous appetites. 3. The chief complaint that folks tend to have about Restaurant Week menus in general is that, in order to meet the prescribed price point, they offer very few choices and include none of the restaurant’s best dishes. So you have to appreciate The Half Orange’s (3340 E. 12th St. #11) approach this year, which is to offer a whopping seven different $20 preset lunch or dinner menus, each organized around a theme that makes some kind of culinary sense — e.g., “Nachos & Chili,” or “Fried Chicken Two Ways,” or “Cheese Upon Cheese.” For an extra $3.80, you can upgrade the iced tea or lemonade that comes with the meal to a draft beer. 4. Picán (2295 Broadway) remains one of Uptown Oakland’s more expensive restaurants, which is why I homed in on its $20 three-course lunch prix-fixe, which offers diners a choice between “Bayou” and “Lowcountry” menus. Look: You get your money’s worth based on the regular prices for the entrées alone — $20 for the braised short rib sandwich and $24 for the Gulf Coast “Pastalaya” (like a jambalaya with fideo pasta instead of rice). 5. Juhu Beach Club (5179 Telegraph Ave.) is running the same $20 dinner prix-fixe it ran last year, and it’s just as good a deal now as it was before, especially if you choose the non-vegetarian entrée: the (delicious) Curryleaf Coriander Shrimp would normally cost you $23 all by itself. 6. Miss Ollie’s (901 Washington St.) rounds out the list with a luxurious $30 prix-fixe that includes a welcome cocktail to start, a Caribbean rice porridge infused with sea egg (aka uni), braised oxtails, and cardamom-and-raisin bread pudding. It’s hard to calculate exactly how good a deal that is, given that most of the dishes are seasonal offerings that only occasionally appear on the restaurant’s regular menu. Maybe it’s enough to say that, deal or no deal, this is the food I’d want to eat.